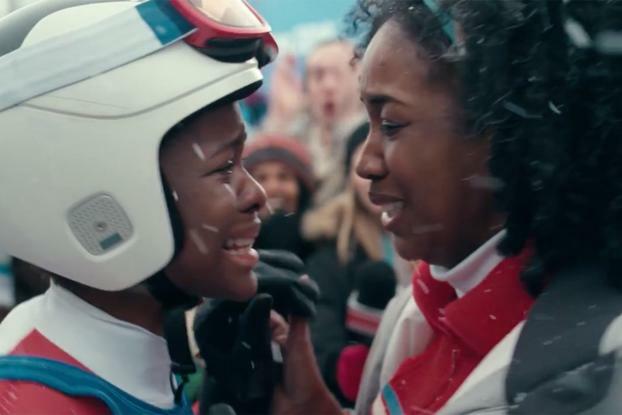 Here's something you don't expect in the first frames of a Winter Olympics ad--an African-American girl growing up to compete in predominantly white Alpine skiing. That's the point of Procter & Gamble Co.'s #LoveOverBias video from Wieden & Kennedy, Portland, launching today. 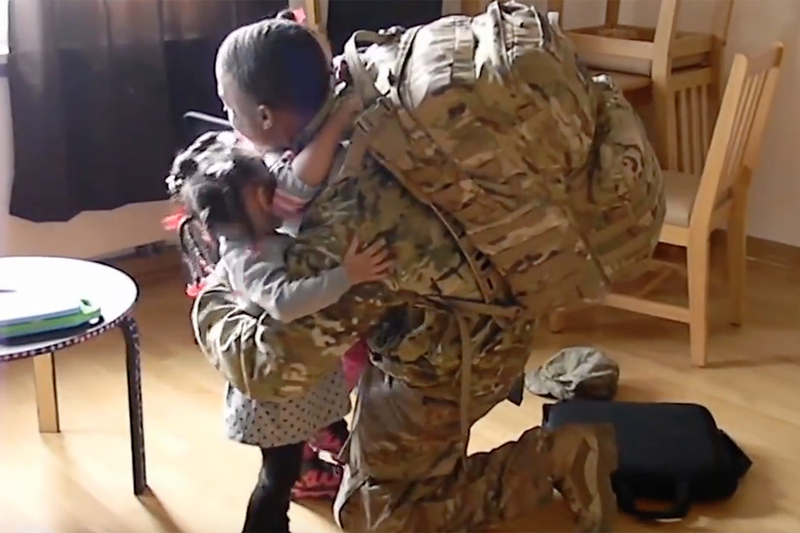 P&G is mashing up its long-running "Proud Sponsor of Moms" campaign with its stepped-up efforts to talk about racial and other forms of bias in a video premiering on "The Ellen Degeneres Show" 100 days out from the start of the games in PyeongChang, South Korea. The #LoveOverBias ad asks, "Imagine if the world could see what a mom does," after showing brief vignettes that include a Muslim speed skater, a gay figure skater and a female Korean hockey player, all set to a new version the Five Stairsteps' "O-o-h Child" by Chinese-American performer Milck. P&G takes on race, gender, religious, disability, sexual orientation and class bias in the 2-minute film. P&G's last anti-bias video, part of its "My Black Is Beautiful" campaign in July, unleashed a wave of criticism. But Chief Brand Officer Marc Pritchard is still making good on his promise to keep putting the corporate brand behind anti-bias efforts. The current highly polarized environment of the political landscape factored into the messaging decision, he says. "This time given the context of what's important in the world right now, we decided to kind of pivot our Proud Sponsor of Moms advertising more to a company point-of-view," Pritchard says. This is part of a broader corporate citizenship effort, he says. "We want to be a force for good and a force for growth." The ad also is focused squarely on winning with millennials, who "are highly focused on the Olympics" and consume on average four hours of Olympics content a day, Pritchard says, and are focused on equality and inclusion. "Sports may be the most level playing field of all professions and in fact has probably the greatest degree of diversity and many biases, but even athletes face bias," he says. "That's why we wanted to take a look at that." Adding to the theme of overcoming bias, W&K tapped director Alma Har'el to direct the ad. Har'el is founder of the Free the Bid movement, the ad industry initiative to put more female directors behind the camera, with backing from brands including HP, Coca-Cola and eBay. The Olympics and other corporate issue advertising represents "a small fraction of our spending, but it has enormous impact, because it creates conversation," Pritchard says. "People like to talk about it, and it endears our brand to consumers because they see that we talk about things they care about." The Olympics work has had demonstrable impact on P&G's corporate reputation scores and helped build retailer support for promotional programs around the games, Pritchard says. This is the fifth wave of P&G's Olympics work. Janet Fletcher, director of sports marketing for P&G, and Dave Luhr, global president of W&K, who've been involved from the beginning in 2009, say they wanted to avoid this being the "Rocky V" of Olympics advertising. Unifying sentiments aside, the winter games open 60 miles from North Korea amid threats from both sides of nuclear war with the U.S. But Pritchard says he's not concerned about that affecting P&G's Olympics sponsorship. "We count on powers greater than us to deal with that," he says. "In every Olympic games there's always some drama beforehand. What's great about the Olympics is that people tend to come together for it."